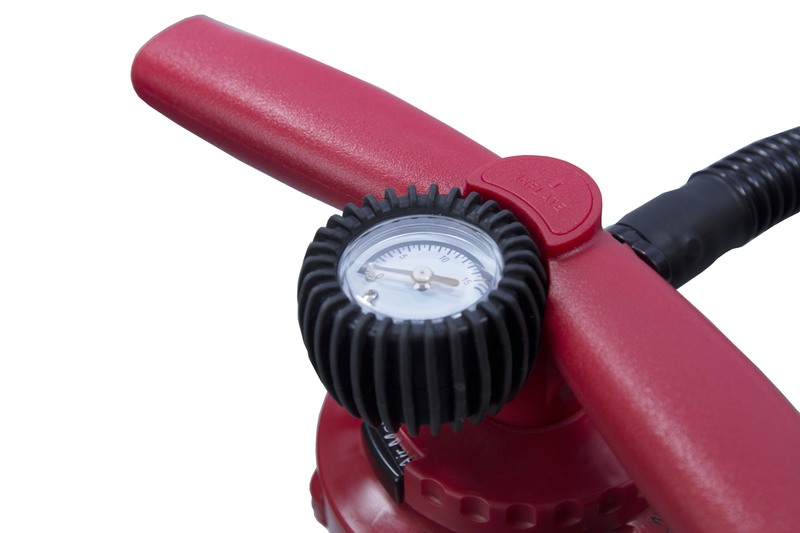 comes with optional 25PSI pressure gauge to measure the inflation body. 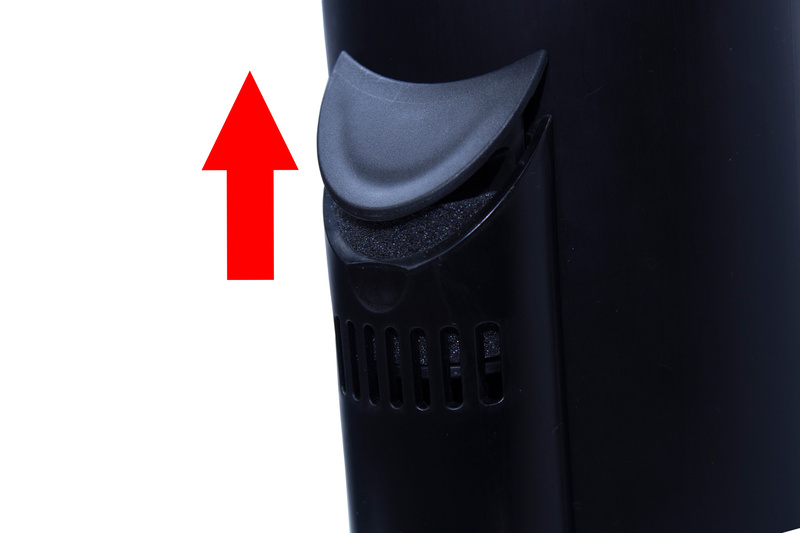 Generates massive air volume! 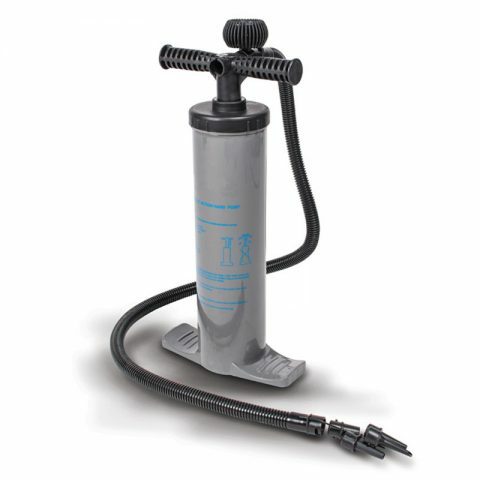 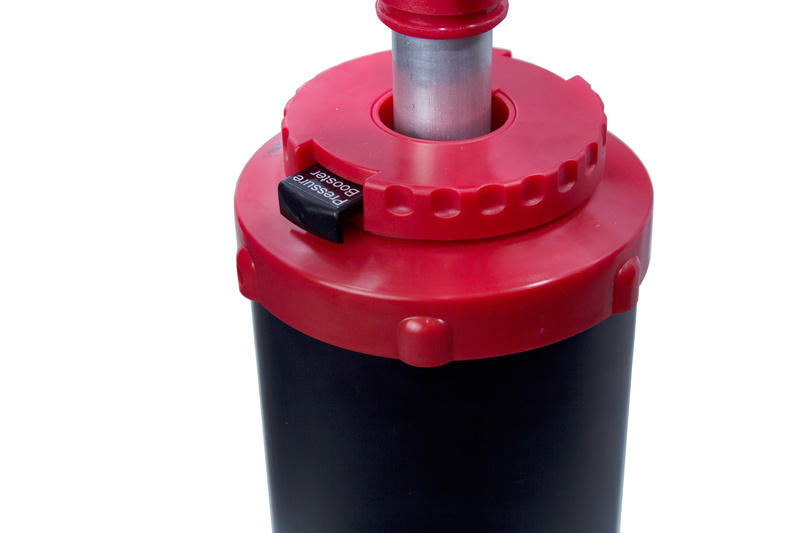 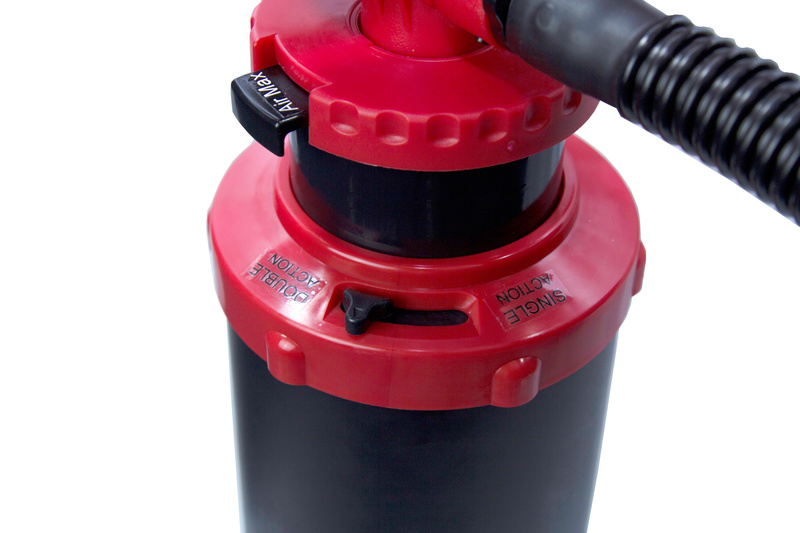 At one finger tips, you can easily select using large or small barrel pump by switching the slider to Air Max or Pressure Booster; at the same time choosing the pump to be DOUBLE ACTION or SINGLE ACTION in order to perform maximum air output in shortest time, and output pressure with least effort. 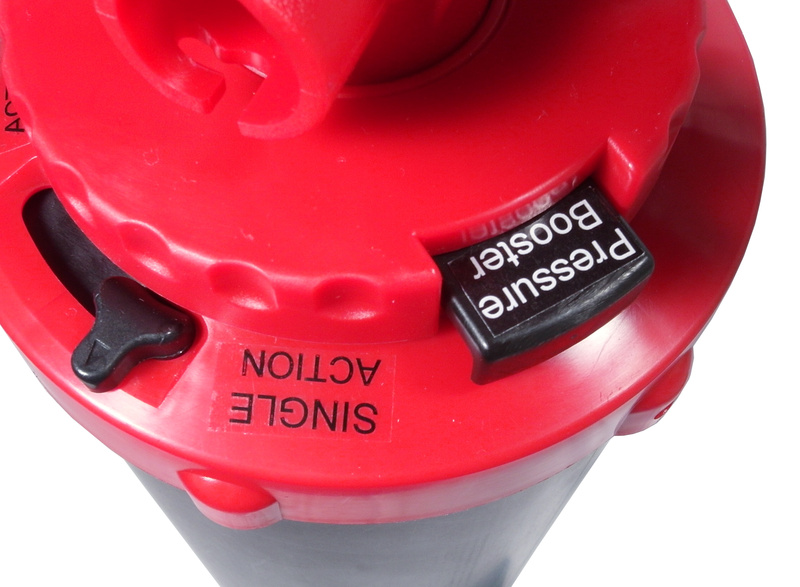 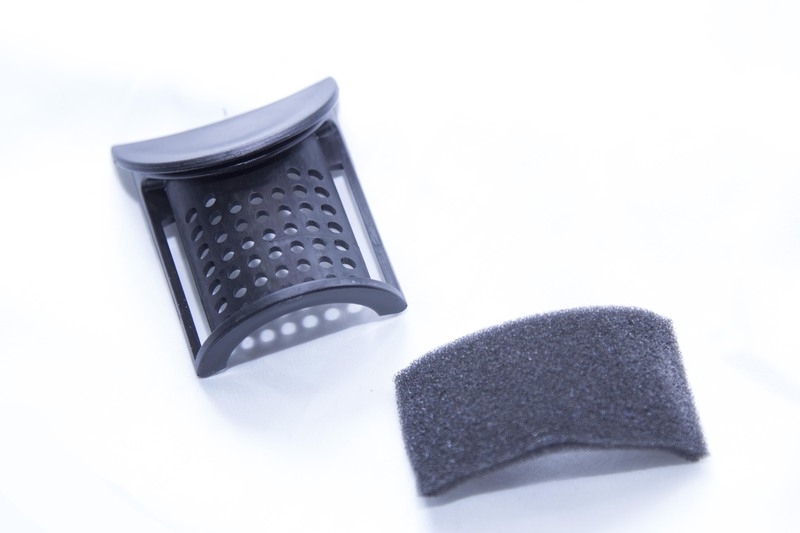 Patented twist-lock connector to prevent the nozzle from popping off whenever the inflatable body is overpressure, or in pressure equalizing stage. 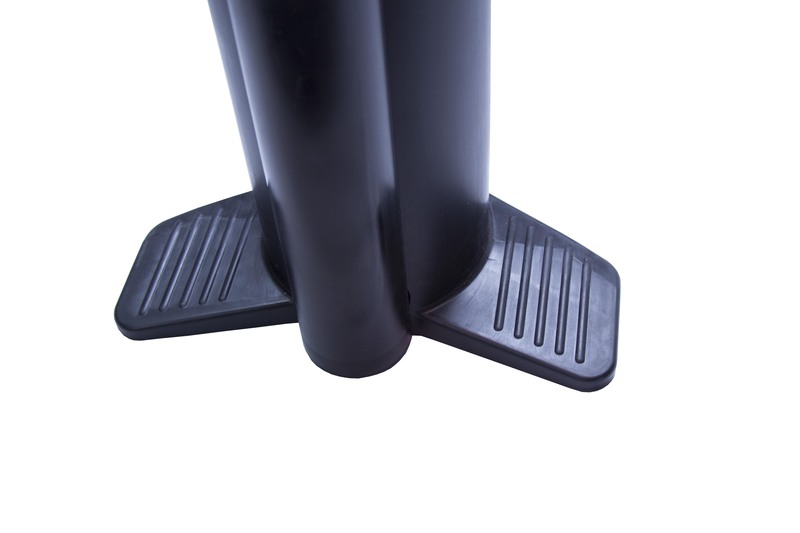 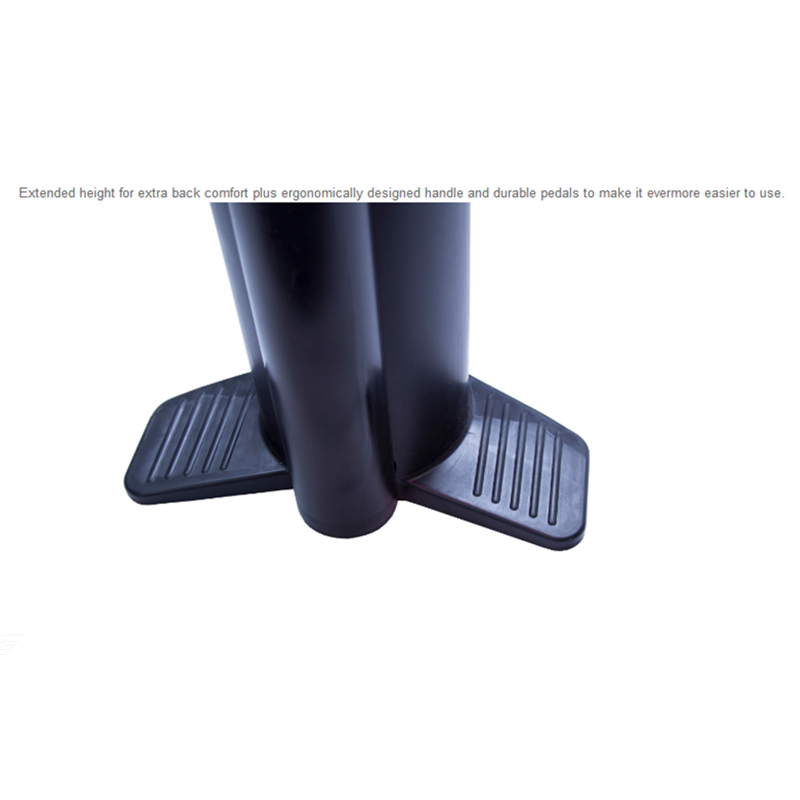 Extended height for extra back comfort plus ergonomically designed handle and durable pedals to make it evermore easier to use. 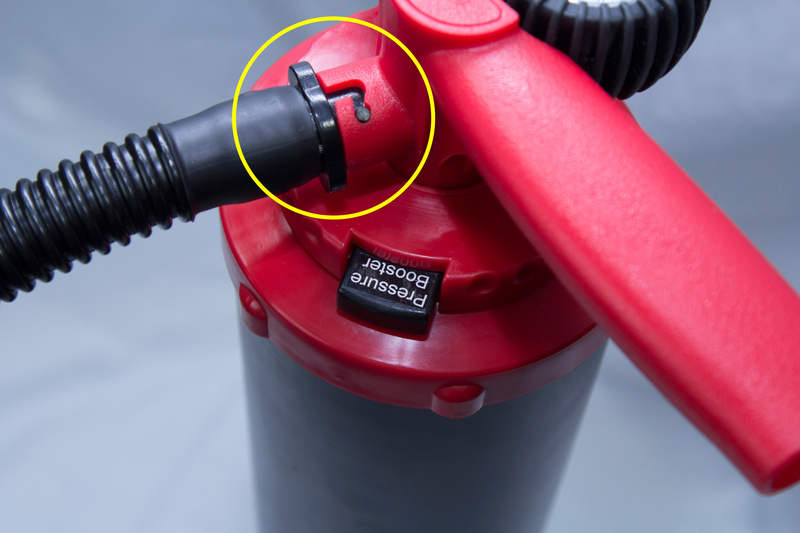 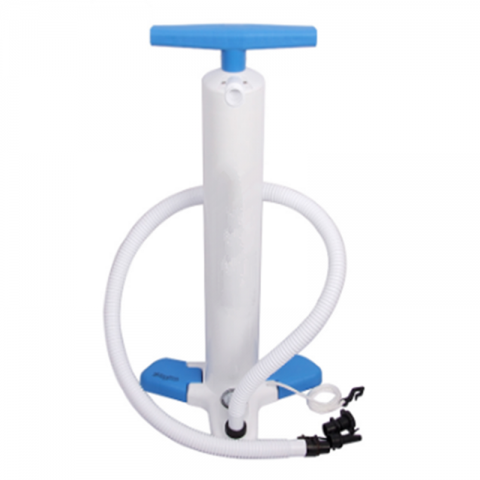 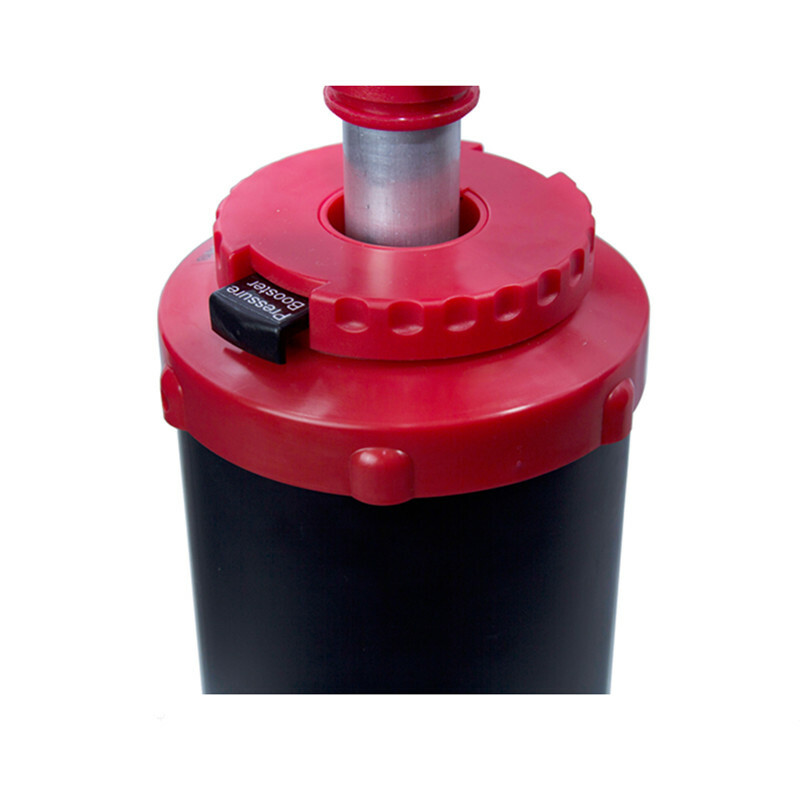 Various types of connector nozzle are available to inflate any large, high pressure inflatable products, such as SUP boards, air tents, rubber boats, towables, banana boats, air beds, PVC boats, inflatable kites, etc. 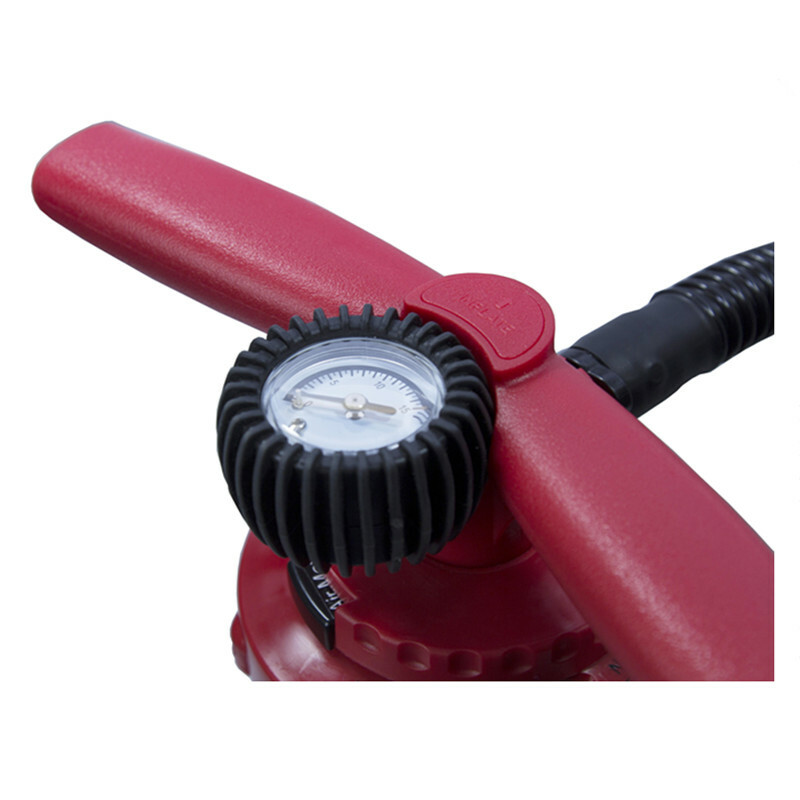 The maximum pressure value is 25PSI. 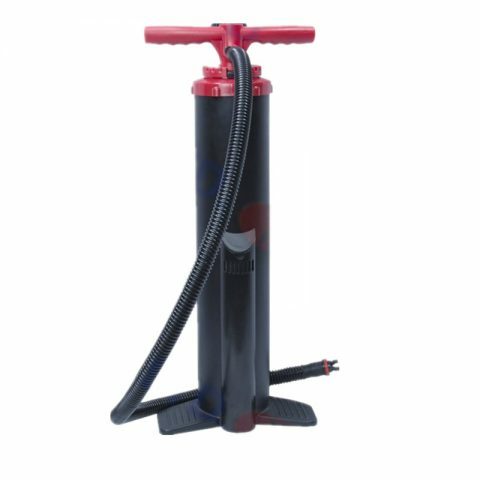 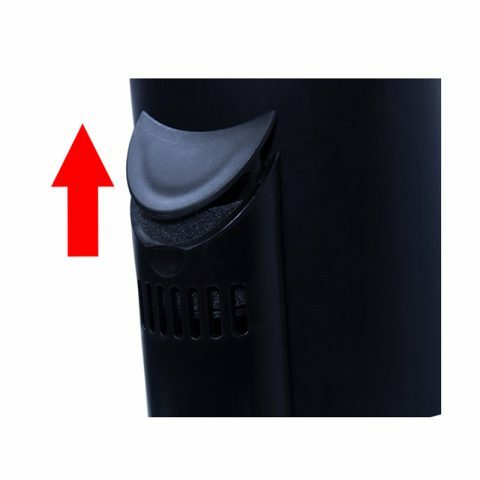 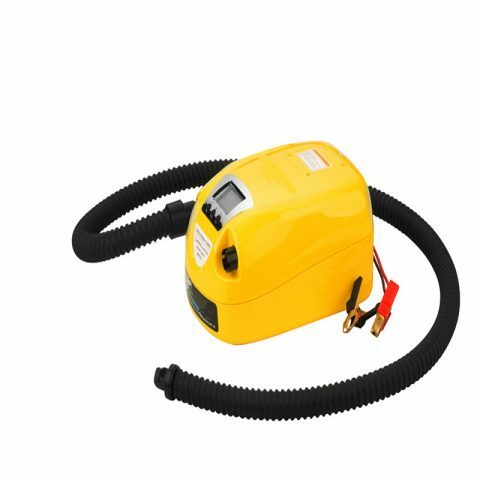 When inflating, it is necessary to pay attention to the pressure that the inflatable body intends to be inflated and make sure it can withstand the pump pressure to avoid over blown. 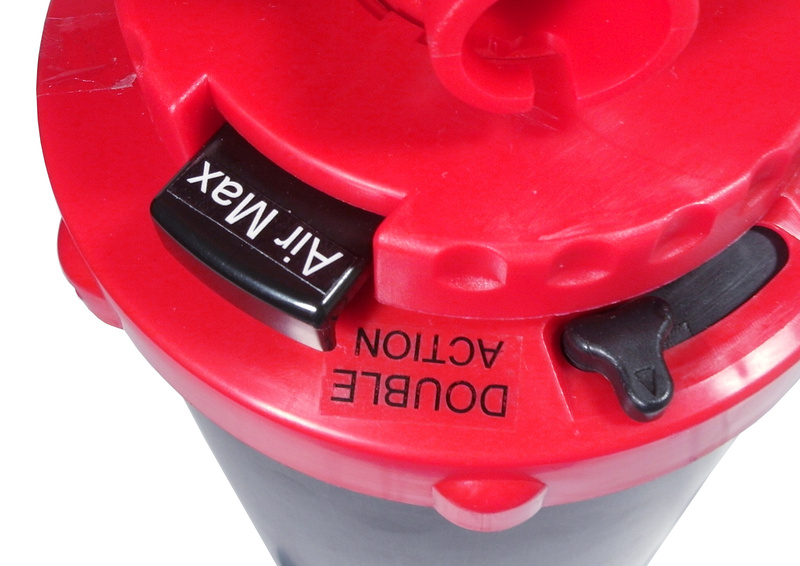 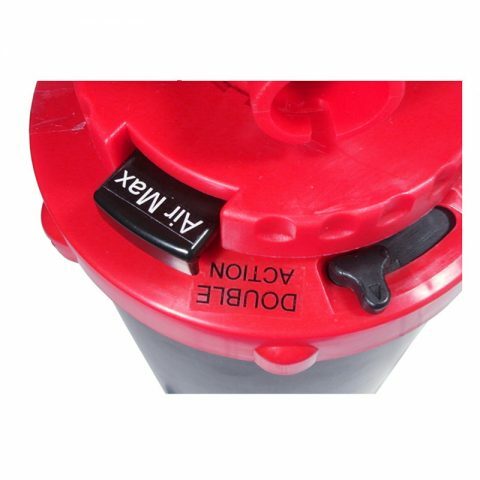 A foam air filter is installed to allow only air entering the body and into the barrel.